Normally until Windows Server 2008, we use to have the .net Framework available to enabled from Server features section in Server manager. We just have to enable the feature to install .net FW 3.5. 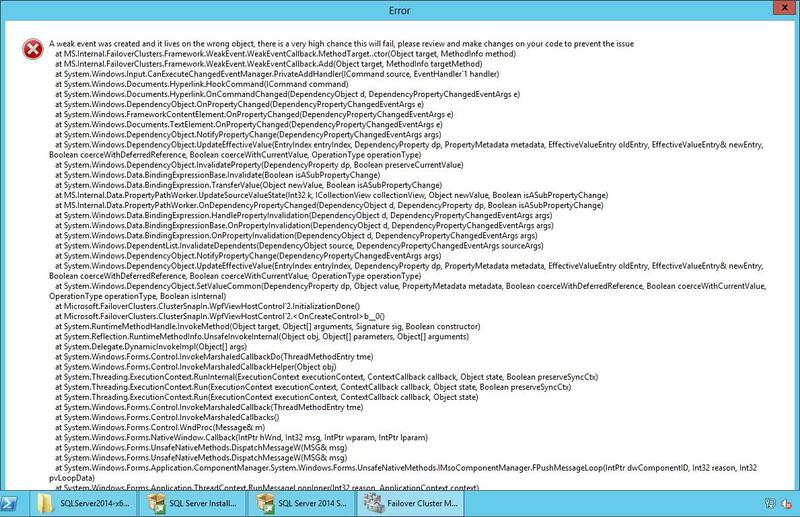 Here we ran into a situation where we had to install SQL Server 2014 on a Windows 2012 Server. .net Framework 3.5 was required for SQL 2014 and Windows 2012 didn’t have that by default. Also, unlike SQL Server 2008 or 2012, 2014 setup doesn’t install it by itself. It just say’s that it needs to be installed manually. We tried to enable the feature via Server manager, but it fails saying the source files doesn’t exist. Below is how we finally managed to install .net 3.5. There is a folder named sxs in Windows Server 2012 / 2012R2 Install Disk. We extracted the sxs folder from a disk image and copied them over to C:\Softwares\Source\sxs folder on the target 2012 windows server. Open a powershell prompt and execute below command. It would take few minutes to complete and you now have .net Framework 3.5 on your Windows Server 2012.